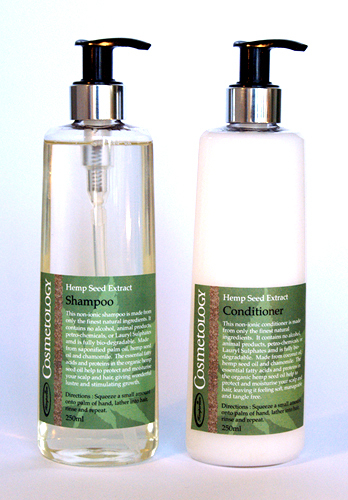 Bio-degradable hemp conditioner is made from only the finest natural ingredients. This non-ionic conditioner is made from only the finest natural ingredients and it is fully bio-degradable. It is a unique formulation containing hemp seed oil, coconut oil, and chamomile. moisture your scalp and hair, leaving it soft, manageable and tangle free. Ingredients include Coconut oil, Hemp Seed oil, Soya Protein, Beeswax. Water/Herbal Infusion, Essential oils.